If you’re either a small professional business, a digital marketing agency or an SEO agency that works with such business’ you should probably start thinking how the latest changes from Google are going to affect you if you haven’t already. Google has recently started rolling out their Google Guaranteed aka Home Services Ads across the US. What started as a quiet beta in the bay area, is now nationwide. The reasoning behind this program is to create a better experience for the user and provide a better advertising platform for the advertisers, but will it really? For years we’re seeing that Google is finding creative (sneaky) ways to push the organic search results lower and lower below the fold. It started when they killed side page ads and in turn allowed 4 ads to appear on the top instead of 3. Recently they also added another sponsored ad within the local snack pack results. And Lastly they just added on top their home service ads. So before you reach anything organic when searching for any home service, you’ll need to scroll by a block of home service ads, 4 adwords ads that may include extensions and perhaps another sponsored ad within the local maps – That is a pretty long mile of ads concentrated in one place, especially if you’re searching on a smartphone like most people. How do you even get on Home Service Ads? At the moment, in order to appear in these home service ads the business owner is required to go through a pretty invasive verification that Google has initiated along with a 3rd party investigation company that goes by the name Pinkerton. This verification process requires the owner and any employees to go through a thorough background check which seems a little overkill from the stand point of an advertising platform. I mean, is it really OK for Google to even demand this kind of background check? 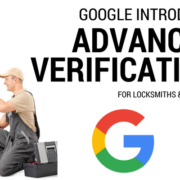 Many legitimate businesses are finding it very difficult to pass this verification, mainly because the requirements are kept top secret; that’s right, no one really knows what Google is looking for in order to be cleared. I’ve witnessed a few businesses that have been loyal customers of Google for years and have spent hundreds of thousands on advertising getting rejected without any hint or explanation why. To me that seems absurd. Those fortunate enough to have passed the verification are now showing up on HSA, and they are also enjoying incredibly cheap qualified leads. One of the main issues almost any home service business suffered from while advertising on AdWords was click fraud – and a lot of it! While Google could have done plenty to prevent click fraud, they usually turned a blind eye. 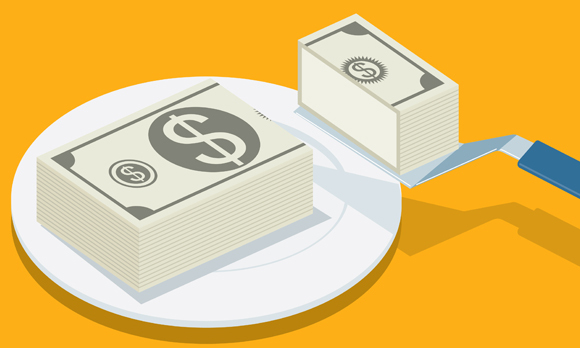 With HSA advertisers only pay for leads that are actually qualified – which is great. I know from some clients that HSA is also providing a fixed price for all leads, sometimes as low as $5 per call. So does this means that Google isn’t interested in the pay per click model anymore? Possibly. What’s for certain, is that most small business that’s offered a low fixed rate for qualified calls through Google are more than happy to sign up. One of the things that Google is looking for during this vetting process is whether or not you’re a legitimate business. Why is this suddenly so important to Google? I personally think that they’re mostly interested in this because in the near future anyone in HSA will pretty much become a Google partner and I’m not referring to the AdWords partner kind, instead I’m referring to an actual business partner. I personally don’t see Google keeping a fixed $5 cost per lead for very long. In fact I don’t believe it will be a fixed price at all. I do however think that the ultimate end game is to become a referral system. Up until recently AdWords was filled with ads from companies that were only referral companies working with different contractors on a revenue share model. With the new verification process in place, these referral companies (middlemen) are out of the picture. These middlemen companies used to spend billions of dollars on AdWords in some very competitive industries, so Google eliminating them for low and fixed price leads just doesn’t add up. Unless they realized there is a way to increase their revenue even more… why not take part of your revenue for instance. Once HSA rolls out across the country for every vertical I’m pretty sure that the cost per lead will naturally be increased. How much more? Well, if anyone has enough data on how much a lead if worth for each industry in any specific location, it’s Google. If they know that plumbers in Chicago were paying over $25 per click and only 1 out of 4 clicks ever turned into a paying customer, asking for $100 per lead through HSA isn’t far fetched. It does however sound steep even when you present it this way. This is why I think that the actual business model will be a revenue share model. Google will process and collect payments from the end user and the business owner will get paid from Google minus a commission. This isn’t different from any other on-demand services such as Lyft and Uber. What happens if a customer complains about the services rendered? While Google might give you a chance to work things out like grown ups, if you receive multiple complaints or if any previous complaints don’t get resolved, it’s very likely that Google will simply terminate their contract with you, you’ll be fired basically. Google will easily find another contractor to take your place and horror stories of a few that were eliminated will keep the rest in check. After all, Google won’t simply “Guarantee” any random business. If you’re doing SEO for home services, you’re likely to see a huge decline in traffic during 2018 and that could very well mean you’ll be losing some clients along the way. If you’re doing AdWords for home services, ppc will become obsolete with HSA taking the lead as it requires no advertising know how whatsoever. If you’re a home services provider of any kind, you’ll enjoy leads for a great price in the near future, but before you know it, those leads will become way more expensive and you’ll realize you have a new business partner that is calling the shots on one of your main revenue streams. The only one benefiting from this would be no other than Google. 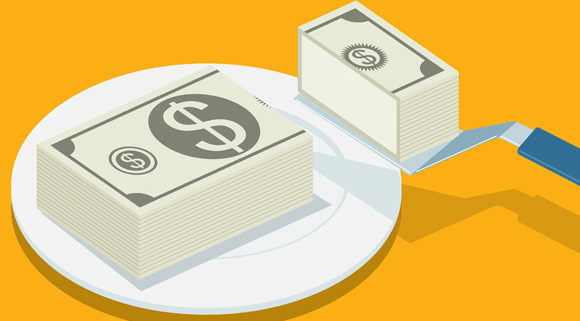 While marketing agencies were charging a percentage of ad spend, or referral companies were charging a percentage of any leads that converted, Google has probably decided to kick both of these out and eat the whole pie themselves. It’s very possible that any home service job performed in the US will be taxed by Google. Very insightful, informative and well written piece! wouldn’t this make google a monopoly and push more people to yahoo? My bet is on Amazon and Facebook putting up a fight! Quick Negative Keyword Opportunities in Adwords What Data Does Google Collect?